This Bar Table is crafted exquisitely to match the elegance of your stylish home decor. The sleek design gives you the flexibility to move around easily. 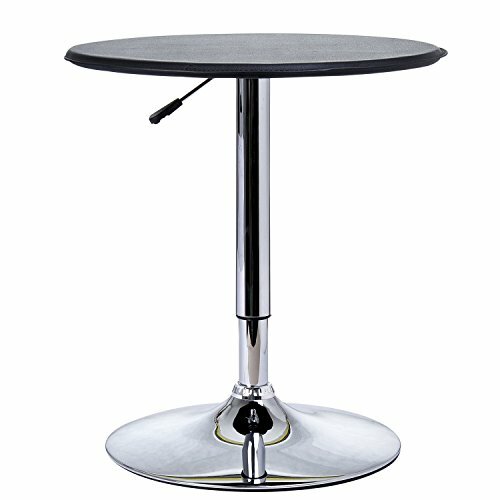 Crafted in Steel that gives it the strength and sturdiness, this Bar Table has a gleaming polished Chrome finish. The round wooden table top with a PVC vinyl covering gives it a wonderful contrasting look. Equipped a hydraulic lift mechanism, the table's height may be adjusted to your preference. - Gas Bar adjustment height: 26.5" - 36.5"